At Al-Futtaim, we recognise that our people are our most important asset and as a team, we achieve our business goals together. Elevating our people to the next level requires a considerable investment and exciting opportunities lie ahead as we work together towards Al-Futtaim’s bright future! Al-Futtaim’s family business traces its origins back to the 1930s on the banks of the Dubai Creek, a trailblazer for innovative trading concepts designed to enrich lifestyles. Today, Al-Futtaim is present in 29 countries, represents over 200 companies spanning the automotive, finance, retail, and real estate industries, and we are now 42,000 people strong. As a global multicultural company, we both encourage diversity, and invest in developing our National employees for future sustainability. 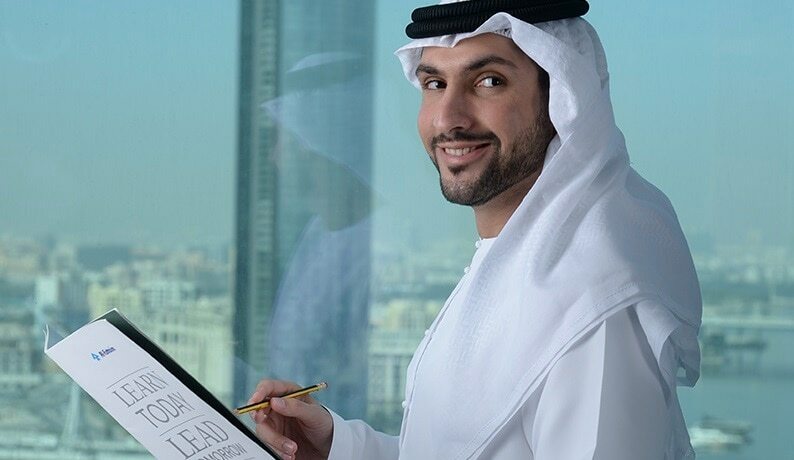 Al-Futtaim’s Nationalisation programmes allow employees to develop the skills and abilities they need within the workplace, as well as to prepare them for a progressive career path. We offer flexible employment options and a full range of opportunities, from apprenticeships to senior management roles. We provide quality products and services that enrich people’s lives and aspirations each and every day. Through our relentless pursuit of excellence, we will enrich the lives of our customers at every turn, as the foremost provider of quality products and services, everyday. Our Values of Respect, Integrity, Collaboration and Excellence define they way we work and interact with our stakeholders. Enter your email and tell us a bit about yourself, and we will keep you informed about upcoming events and opportunities that match your interests.